It sounds weird but if you know everything about Industrial Craft 2 and you need more features in that beautiful mod for MCPE then do not forget to install this addon. With it, your world will become a little more dangerous. The fact is that meteorites, huge blocks of ore and stone will fall on your planet in your worlds. Be wary of their fall on yourself, since even the most durable suit or armor will not be able to save you from its destructive damage. Each meteorite is a set of ores and therefore you will be able to get a little bit of such ore without going into mines and sea caves. Iridium fills almost every meteorite that has fallen in your world, look for ore in the formed funnel. Iridium Meteors PE is compatible with any IC mod that has an iridium in itself. How to install Iridium Meteors PE? 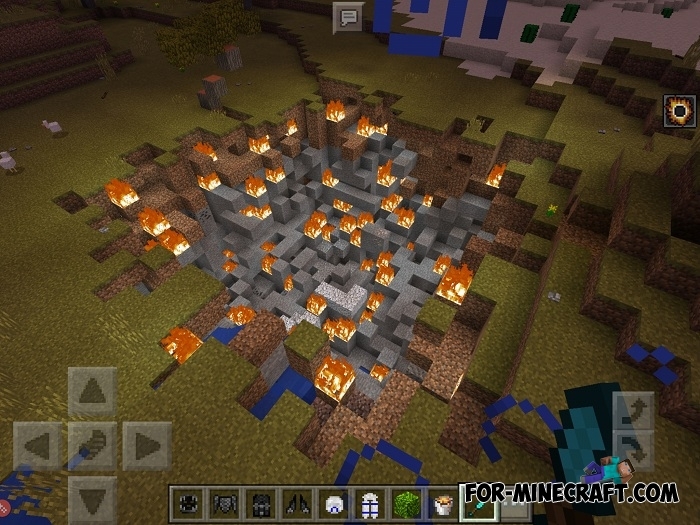 Meteors mod for Minecraft PE 0.14.0Meteors mod adds 9 different types of meteors in MCPE 0.14 that will fall from the sky and pull down the earth's crust.